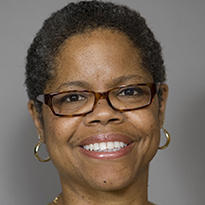 Verna L. Williams was appointed dean of the College of Law at the University of Cincinnati in Ohio. She has been serving as interim dean since May 2017. She also holds the title of Nippert Professor of Law. Professor Williams joined the faculty at the University of Cincinnati College of Law in 2001. She served as the co-director of the university’s joint degree program in law and women’s studies. Before joining the faculty at the law school, Professor Williams was vice president and director of educational opportunities at the National Women’s Law Center. She is a graduate of Georgetown University, where she majored in Spanish, and Harvard Law School.